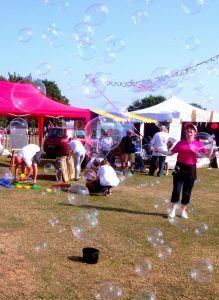 Perfect for fetes, festivals, carnivals, weddings, schools, garden parties etc, Steff’s outdoor bubbles are spectacular. 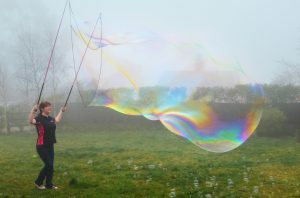 When the wind is calm, it is possible to create enormous bubbles the size of cars!! On windier days, our “bubble bunting” comes into its own, which can fill a large field with bubbles in seconds. Bubbles are like catnip for children, and once Steff starts making bubbles, she soon has the attention of every child in the area. Even the adults will be amazed, as they are unlikely to have seen bubbles like these before. 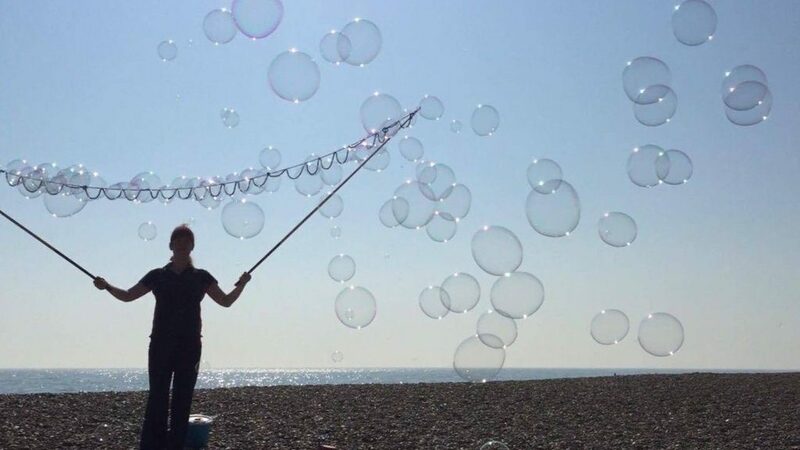 There are plenty of opportunities for children to join in, and Steff can provide a large tub of bubble wands and liquid so that everyone can have a go at the end of the show.